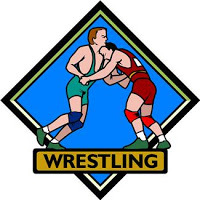 It was a tough night Tuesday as the Shorewood wrestling team had a double dual against the Edmonds-Woodway Warriors and the Cedarcrest Wolves. Hosted by Shorecrest High School, Shorewood faced off against Edmonds-Woodway first. It was all Warriors as Ed-way won a couple overtime matches, picked up several pins, and racked up a pair of forfeits for a massive lead. Shorewood finished the match with a pin by junior Cole Becker at 160 pounds, but it was far too little, far too late, as Edmonds-Woodway won 63-10. In the second match it was the Thunderbirds against Cedarcrest. Cedarcrest is new to WesCo this season and will compete at the 2A level for the post season. It was tough sledding early as Cedarcrest jumped out to a 11-0 lead after the first two weight classes. With the help of two forfeits and a huge pin by sophomore Sujinda Pongsaphang at 126 pounds, Shorewood took their first lead at 18-14. With three matches left Shorewood held a 30-17 lead, needing just one more win to secure the team victory. Junior Devin Leach bumped up a weight class to 152 pounds and wrestled a great match. Leach got a takedown with just 5 seconds left in the first period for an early 2-0 lead. In the second period it was all Leach as he quickly got a reversal and put his opponent on his back for his 12th straight victory and a team win. Final score Shorewood 36 - Cedarcrest 26. Shorewood wrestles next this Friday night, January 25th, at home against the rival Shorecrest Scots. Wrestling begins at 7pm. Shorewood Record: 4-2 WesCo South, 4-6 Overall.